No matter how well you take care of your teeth at home, regular dental cleanings are a necessity. 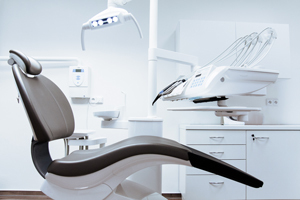 Not only will your dentist provide a much more thorough cleaning than you can achieve on your own, but they will also be able to check for any dental issues and treat them before significant problems arise. Depending on the type of cleaning required, you may need to see your dentist more than twice a year. For example, high plaque developers often require more dental visits. Using a scaler, the hygienist will scrape off any tartar that has accumulated over time. A special motorized rubber toothbrush will be used to smooth and polish your teeth, making it harder for plaque to build up in the future. The polishing also eliminates surface stains and adds a shiny look to your smile. Your hygienist will floss in between all your teeth to massage your gums and ensure no food or harmful bacteria is left behind. You will be given a rinse to rid your mouth of any remaining bacteria. After your teeth are properly cleaned, a fluoride treatment will be applied, which aids in strong tooth enamel. It is important to note that this type of cleaning only takes care of the crowns of your teeth. A routine dental cleaning is great for maintaining a smile in good oral health, but will not be sufficient enough for those who suffer from dental issues such as gingivitis (gum disease). For those who may have skipped their last few dental cleanings, a full mouth debridement will likely be necessary. Standard dental cleanings remove plaque that accumulates over time, and not having one for a significant period results in more calculus buildup than the average cleaning can address. Debridement eliminates excessive amounts of buildup caused by a lack of cleaning. Electric scalers are a preferred method for effectively removing the stubborn plaque and tartar buildup that occurs. In extreme cases of calculus and plaque, oral debridement will be required before your dentist can accurately assess your full dental health status. After the buildup has been entirely removed, you will need to schedule a regular cleaning. Deep cleaning is necessary for individuals with gum disease, as the method eliminates tartar, bacteria, and debris underneath the gum line. This intensive cleaning acts as an immediate treatment for gum disease, though further treatment may be required depending on the severity of your condition. Your gum line can’t be accessed with regular brushing or flossing and is not typically addressed during a routine cleaning, which is why deep cleanings are essential for treating periodontal disease. If the harmful bacteria is not adequately removed from the gum line, infection and inflammation will worsen, which could lead to tooth or bone loss. You may require a local anesthetic for the intensive treatment, as your dentist will remove all tartar and calculus from your gum line during a deep cleaning. Additionally, once your gum line is cleared, the root of your tooth will be planed to prevent bacteria from accumulating in the future. Once you’ve addressed the symptoms of gum disease with a deep cleaning, periodontal maintenance will replace your standard cleanings. Maintenance visits are typically required every three months so your dentist can perform an ongoing assessment of your oral health and ensure gum disease is kept at bay. In addition to caring for your crowns, the cleaning also focuses on the gums, bones, and roots of your teeth. Patients with a genetic predisposition to gum disease may need to schedule additional maintenance cleanings to protect their smile. No matter the state of your teeth, scheduling regular professional teeth cleanings is an integral part of caring for your oral health. Schedule an appointment with our Marietta dentists today to see which type of teeth cleaning would be most beneficial for you.